Originally, I planned to make this more of a housekeeping post more than anything else. Then I heard some news (in a gossipy sort of way) from one of my sources, which has yet to be confirmed. However, I feel confident enough in my source, that I will take a big leap of faith that this news is correct. In my last post celebrating the one year anniversary of this blog, I made a short mention of the Gorilla House. Near the beginning of the week, I happened to be going past the space that was occupied by the Gorilla House Live Art. I happened to have my camera with me, so I took advantage and took a photo of the space before the building exterior materially changed. As you can see here, the building is surrounded by metal fencing. The signage that used to be there, has come down. Otherwise, for the most part, the exterior appears to be similar to what it has been since it was still a used bookstore (which if memory serves me correct from the occasional visits I made when it was operational, smelled like cat pee). The interior is currently undergoing significant renovations. As you can see in the photo above there is a large stack of drywall ready to be installed and a large counter of some sort, is currently under construction. In my last post, I indicated that the building is planned to be a sushi bar. Shortly after I took this photo, I asked an older Oriental man who poked his head out the door what the plans were for this site. He corroborated the information that I heard, which is that it will be a restaurant, although he did not state what type. So there you have it. The far too common end to a short-lived art space in the city. Soon you will be hearing of a new organization called Rumble House. This is the same organization, except that instead of conducting “art battles” as they have done in the past, the new organization will conduct “art rumbles”. I guess they wanted to use a less combative terminology. The concept is still the same. I have attended a few of the weekly events over the past year. I had intended to go previously, but always remembered too late in the evening or after the fact. It is a very interesting concept. From a professional practice perspective, it serves to encourages practice which is a positive. Depending on the artist, for some the work produced is not consistent with the remainder of their practice which could be considered a detriment to their professional practice. They then meet the following week and do it all over again. In this respect it is a lot like the national Art Battle that was held recently at C2 (the old Museum of Contemporary Art – Calgary) a few months ago. As mentioned above, the same people behind the Gorilla House are now behind what will be called Rumble House. I hear that right now as I write this, after being homeless for a number of months, a new space is under development. It is my understanding that it will soon be open. It is an interesting space that they will be moving into. 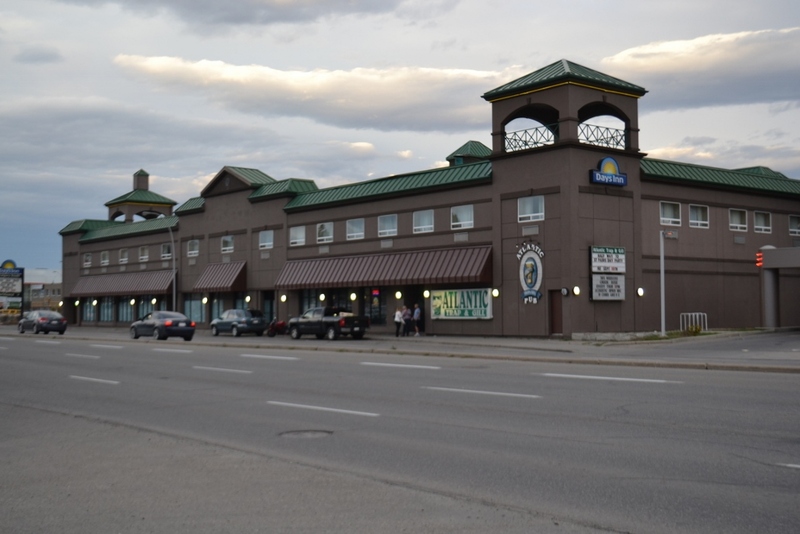 The windows to this space connected to the Day’s Inn Macleod Trail location have been covered up for quite a few years, in fact I don’t recall this space being occupied – ever. That says a lot, as the building has been around for quite a while (maybe 10-20 years, maybe longer). There is no parking in front, the building frontage goes right to the sidewalk, and parking is hidden from view. However, these are the same factors which potentially might make it suitable for this type of facility. As this facility is currently used mostly in the evenings there will be people in the immediate area. It is possible depending on the nights that the Rumble House is operational, that there might be some spillover patrons stop in from the neighbouring Atlantic Trap and Gill and the hotel above. It is centrally located, with easy access by train and car which is ideal for a destination facility that is active outside of regular business hours. These are the same factors which made the Trap and Gill successful. It could potentially be a win-win for everyone. As those who have read my blog over the past year – tomorrow is this blog’s one year anniversary BTW – it is easy to figure out that I am interested in Beakerhead and have written about the organization a few times before. Beakerhead is an interesting project which integrates science and art (and engineering too). I have always been fascinated by this mix. It is my opinion that this is a natural fit, as both science and art involve research and exploration – albeit with different questions and end results. I have long felt that the two, science and art, are closer cousins than many will admit. I have been meaning to write about this 27 foot long series of nine different, eco-chalk graffiti figures since May 21st when they first appeared overnight. These figures were designed by Michael Mateyko and Hans Thiessen, a team that is also known as Komboh. The artists talk about these figures here. 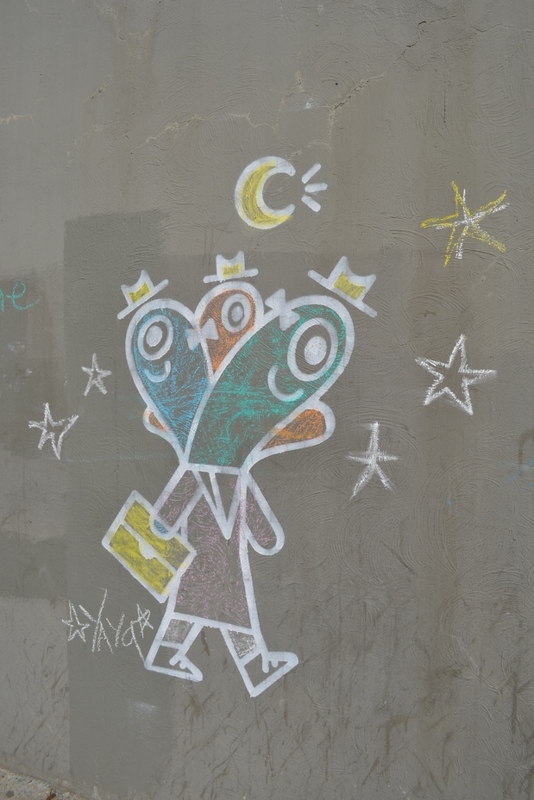 Initially, these eco-chalk graffiti figures were intended to be removed by June 2nd shortly after a Beakerhead announcement (presumably the program announcement which happened on June 10th), or alternatively removed as a result of sufficient rainfall – whichever was to occur first. Since the figures have stayed this long, it now seems as if they will probably stay the summer, right through until Beakerhead in September. Discussion surrounding the point where graffiti morphs from simple vandalism into art. I will be quite honest. I really don’t feel like tackling these issues tonight. I have too much to do this week and not enough time. So I will keep it simple and save the longer discussion(s) for another day. A few weeks ago, time seems to be relative in this context. Regardless, it was probably at least a week ago when I first noticed it. 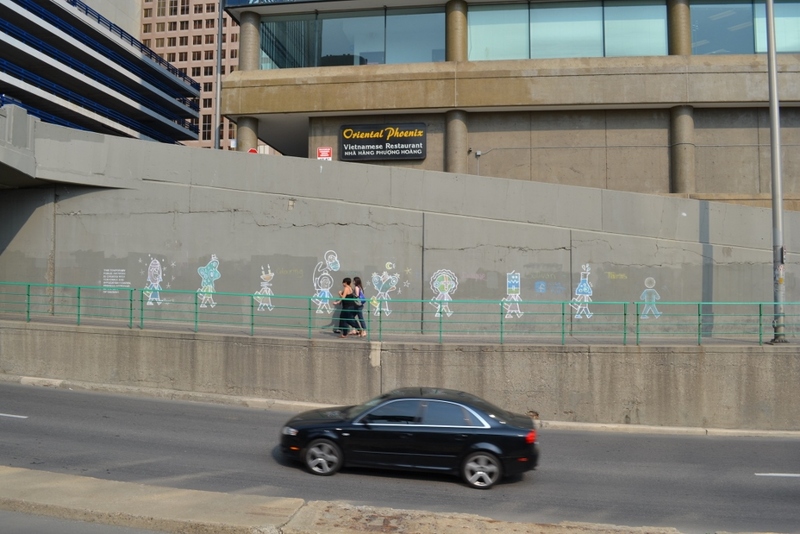 The figures on the east wall of the 4th Street SW underpass got coloured in. From my investigation today (and previously) it would appear as if whoever did this, used coloured chalk. Here is what this east wall looked like on May 28, 2014. This is what it looked like earlier this afternoon. It has been inscribed by those involved. The words “All the colouring done by Dwayne Sullivan + Tess” (if I read the last name correctly, as there is some smudging and the name is not clear). Then there is another note below the other, “facebook us + tell us what you think” placed between figures seven and eight, toward the right. I guess in a way this was to be expected. Leave a series of giant images that bear a certain resemblance to colouring book images – eventually someone will colour them in. I for one, am not disappointed in the two, possibly three fellow citizens (since punctuation was not added) who were involved. They took the bait, and acted creatively in a sympathetic and supportive manner. Their actions, to my mind, would seem to align with what Beakerhead is all about – sparking creativity, and fostering innovation in an inspired way. This is not something that this blog usually does – advertise for upcoming events. However this project is a bit different as it is primarily about creative placemaking and engaging audiences that may be interested in art, but may not frequent the formalized art one sees in galleries with regularity. There were a couple recent projects that tapped into this dynamic, the most successful one probably was Wreck City in 2012. This event all ties into this whole concept as described above in a roundabout way. Without further ado – here is what it is all about. I know that there are those who do knitting. I also know that there are those who do crocheting. They may even be concerned about their fellow human beings. They may even be concerned about the issue of homelessness. They also may only be superficially be aware of a phenomenon called yarn-bombing. Recently, there was an art-bombing (or whatever term is most appealing to the reader to describe what is the result of an artist’s, or group of artist’s using yarn for creative public art displays) which happened downtown. The CBC covered this most recent attempt last week outside of Bow Valley Square downtown. It may still be visible (or not). I plan to write about this whole issue of yarn-bombing, art-bombing, urban knitting, kniffiti, or any other variation that a wordsmith can come up with to describe what it is, when I have more time to do so. I find this whole concept quite fascinating and interesting. This, even though I don’t know how to knit. I did try to learn, with my mother when I was a child, and later with someone who was close to me at the time, providing guidance. Unfortunately, the end result for both times was that I got incredibly frustrated. 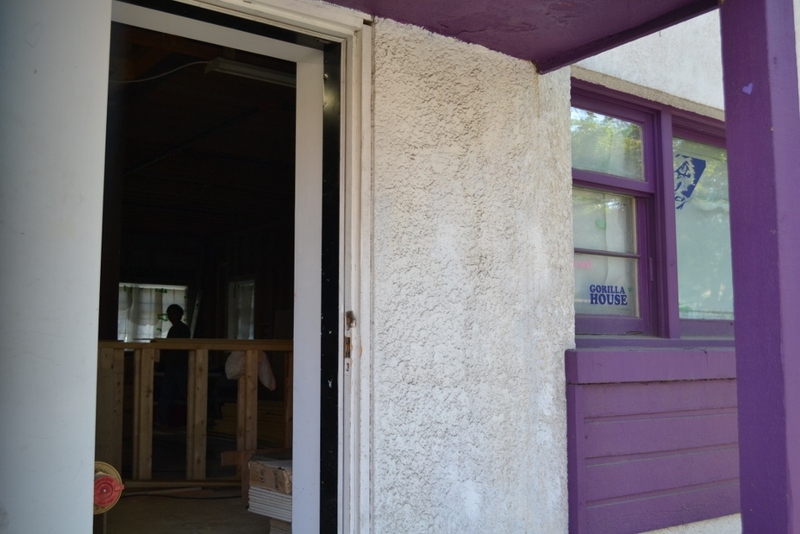 The Calgary Homeless Foundation has recently purchased a house that is slated for demolition. An organization I have written about in the past, This is My City Art Society is partnering with the Calgary Homeless Foundation to create an art event. 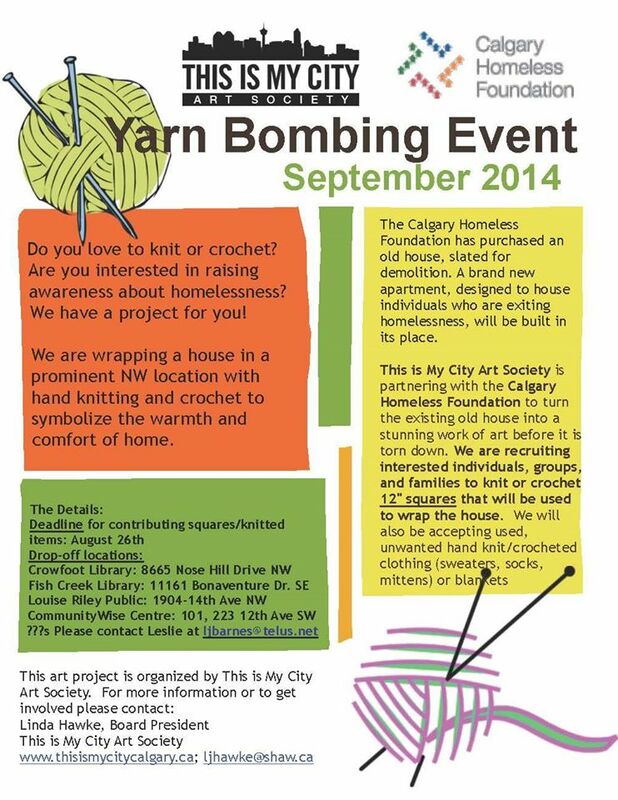 Together they are trying to draw attention to this issue and as part of this, they are going to yarn-bomb the recently purchased house slated for demolition, which is located in a prominent NW location during September. The wrapping of this house in a giant quilt, is meant to symbolize the warmth and comfort of a home. It seems like a great concept. Since there is only a small group of knitters (or crocheters) involved, I want to help expand their network, if I am able. People to create 12” knitted or crocheted squares that will be used to yarn-bomb the house – or create a bunch of them, and/or getting friends to help. Now the particulars and how to get it to the yarn-bombers. For more information please review the photo above. You will find more contact info available on that image. I am sure I will cover this story more once it is up and installed. Top news story today is Alison Redford. The story today relates to a report issued by the Provincial Auditor-General earlier this morning. It is a difficult job being a politician. As a result, I will try to remain as objective as I am able. However, as seen in this article from yesterday’s Globe and Mail, it would seem as if there are some issues that still linger from her time as premier. That story ran on the same day (yesterday) that the embattled Redford resigned as an MLA and from politics. Concurrent with her resignation, she took the opportunity to pen an op-ed article in both the Edmonton Journal and the Calgary Herald. I thought today would be an opportune time to visit Bow Valley College and view some artwork. 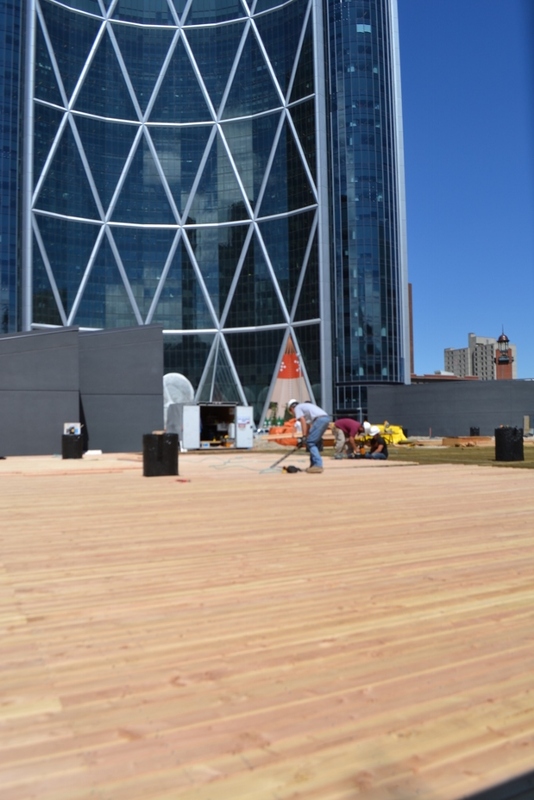 The specific work I was looking for was created by the American artist Franz Spohn in conjunction with a residency he had at the Museum of Contemporary Art – Calgary in 2012 (now rebranded and known as Contemporary Calgary or more specifically the MOCA location which is known as C2). This residency corresponded with the annual Children’s Festival held every year during May. If I was to make a reasonable speculation, it probably had something to do with Calgary 2012 as well. It was prominently displayed near the food court, at the top of the main stairwell, on the +15 level at Bow Valley College. Sadly when I got there, all I could find was a plain blank, white wall that contained no evidence of what once hung there instead. As a result, I had to search for a photograph I took of it last October, which is illustrated above. Two large gumball portrait mosaics were created as a result of the MOCA-Calgary residency. The first of the two portraits completed was of Calgary Mayor, Naheed Nenshi which was followed up probably the following weekend with a portrait of Premier Redford. 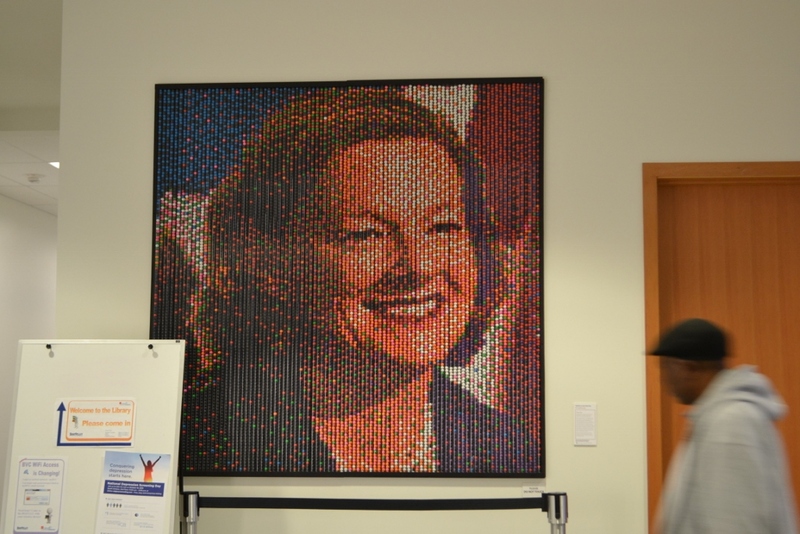 Each portrait contained 18,225 coloured gumballs and both politicians assisted in the creation of their respective portraits, with a surprise visit by Nenshi to assist on Redford’s portrait. At Bow Valley College the two portraits faced each other. Both were located at the top of the main stairwell – one on each side. These two artworks are an excellent example of a community building exercise – creating partnerships with other organizations; coordinating a collaborative engagement between artists and community members; engaging those in the community who might not otherwise visit a gallery; and developing new audiences. This is what galleries must do regularly as part of their programming and in terms of developing creative places and spaces. These artworks came to be as a participatory project whereby individuals helped build the artwork. I attended both events and I was pleased to see how many children participated, often with their parent’s or grandparent’s assistance. It was a fantastic thing to see. After a bit of thinking on her part, she said that she though that the Redford portrait might have got damaged and had to be removed. 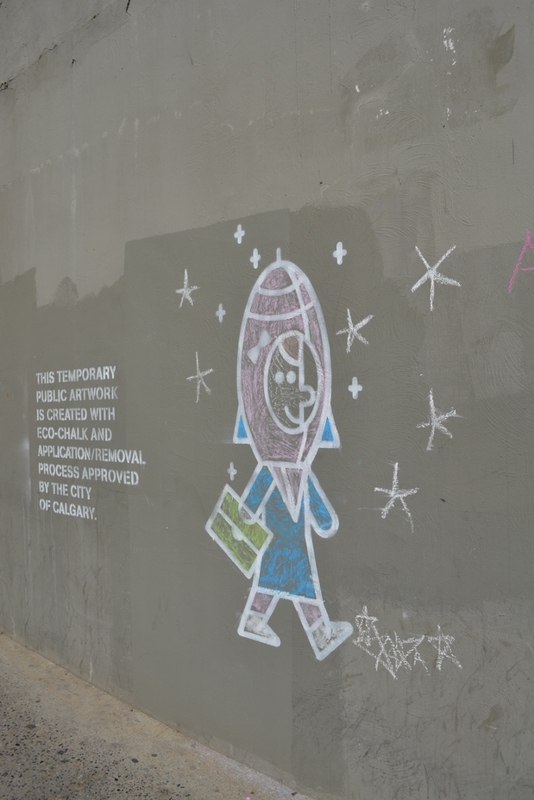 She assumed that maybe the Nenshi work must have been removed at the same time, before it got damaged as well. I have no idea whether the information that she gave me is correct. I am just relaying comments that I received from a random stranger who works in the building. When I asked about timing, she guessed that this probably happened sometime before or during the summer. I have reason to doubt the veracity of her comments. Given this context, the parallels between this situation and a recent news story from December 2013 strikes me as interesting. They are definitely NOT related and are on a completely different level in terms of issues surrounding each other. Regardless, the two events have an interesting dialogue with each other nevertheless. As one would know, if they follow the news even remotely, there have been some recent troubles in the Ukraine. The news story I am talking about pre-dated the Crimean Peninsula Crisis that started in late-February of this year, and relates specifically to a sculpture of Vladimir Lenin that once stood in the central square of Kiev which was toppled in early-December 2013. This was long after the breakup of the former USSR, into independent states, when most of this type of action of toppling Lenin sculptures occurred. Here is an AP photo and a caption that I copied from one of the news journals or papers that used it, for reference more than anything else. As I said before, politics is not easy business and can be very messy when things go sideways. I suspect that at some point in the future it will be on display once again. Where and when is the big question. 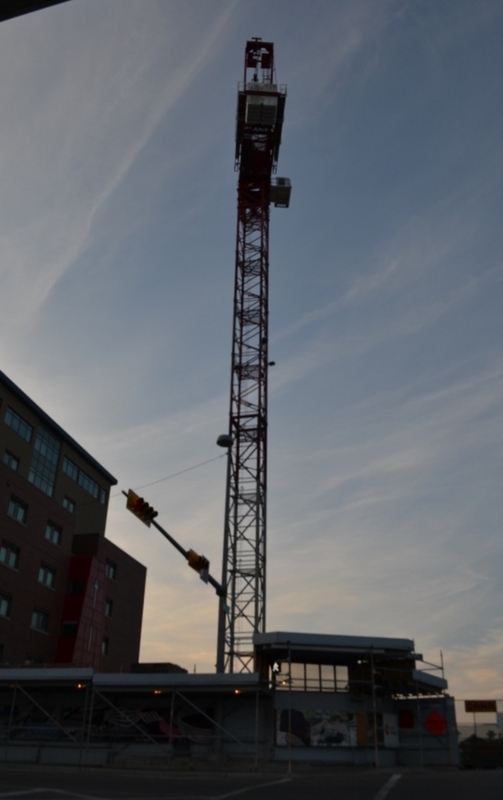 It is midway through Historic Calgary Week which includes the Century Homes Project. It is an interesting way to draw attention to historical issues in a city that has a love affair with tearing older buildings down and replacing them with newly built buildings. Rarely are the old buildings incorporated into the new design. However, that is another issue for another day. With that in mind, the Calgary Herald ran a story today that talks about the Cecil Hotel, Stephen Avenue Mall, Penny Lane Mall, the Barron Building and many other older and newer buildings and trying balance demands for the new with voices trying keep the old. It is not an easy thing to do, in a city that is rapidly growing with constant demands for space. 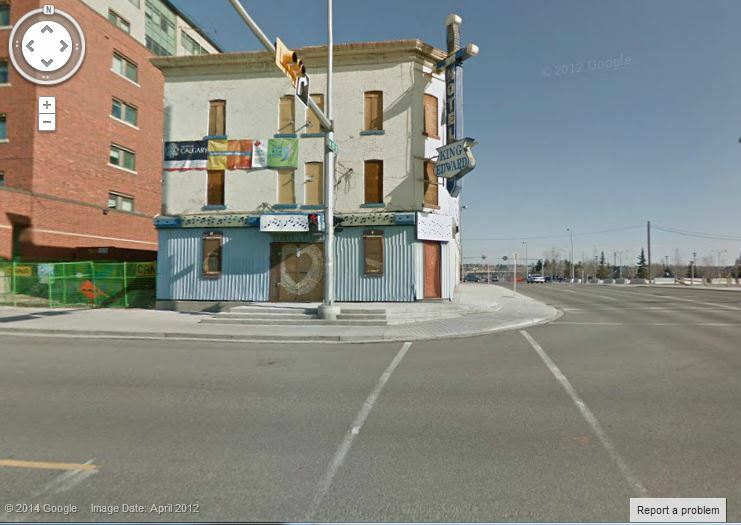 At the same time I want to talk about three old hotels – The Cecil, The King Eddy and the York Hotel. All three buildings that were built in the early part of the 20th century; are located east of Centre Street; have recently been in the news; were all owned by the City at one time in their existence; and have been floated as being appropriate venues for cultural spaces at some point after the residents had left (or were in the process of leaving). A long time ago, when I used to own a gallery and was tied into a five-year lease, I was approached by someone who talked at great length, complete with architectural drawings and conceptual ideas about how the Cecil should be rebranded as a cultural space/boutique/art space with studios above. It was similar to the Art Central concept with the exception that it quite possibly was a contemplated as a live/work concept. This is my memory talking here. I have no documentation about this. I could not find mention of it in the online newspaper site I visited. My memory also is that the concept never lasted very long. However, it stuck in my mind as it happened around the time the landlord I was renting from at my residence, was talking about selling and I was considering my options. Now, I am very interested to see the architectural renderings again or to find out more about the concept. I am putting this out into the internet world, in the hopes that someone has this information, and/or is willing to talk more about it. Please visit my contact me page if you are that person or persons. Notwithstanding this concept, the Cecil has had various uses in a cultural capacity over the years. Most recently a movie called Three Colours & a Canvas, 2014 was released within the last few months. It was filmed predominantly at the Cecil. The use of the Cecil as a backdrop for advertising photography, movies and photographic stills is common. The building has a grittiness and contrasts that works well in these contexts. 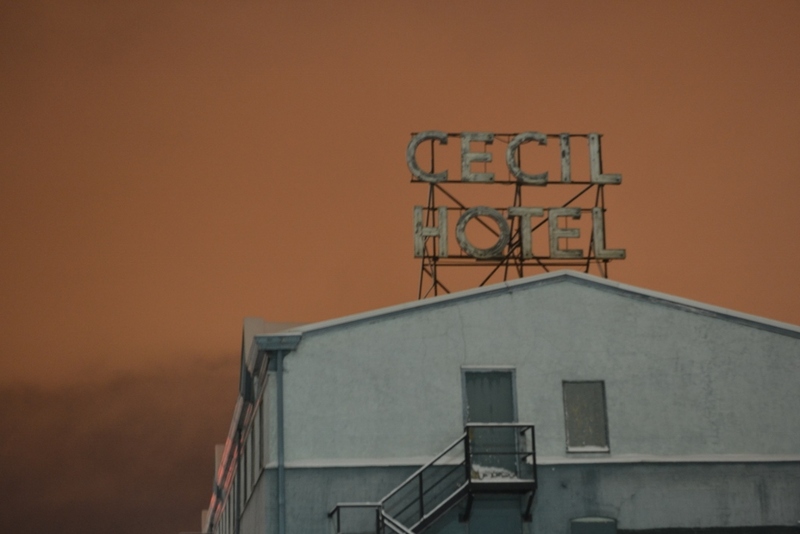 On Friday, Feb. 13, the residents of the Cecil Hotel packed up and left. And then there were none–except a photographer and his camera. With his interactive project, Jonsson wants to make the negative view or “narrative” of the Cecil more “complex” by looking at other points of view, and at some of the rich-versus-poor backstories and business-versus-human dimensions of urban development. Somewhere I believe I have a small publication produced for this show. This once seedy hotel (just as the Cecil was) used to have a pub in the basement where a virtual who’s who of blues musicians would perform over many years. It was known as the Home of the Blues – with good reason. Legendary acts such as Buddy Guy played there. 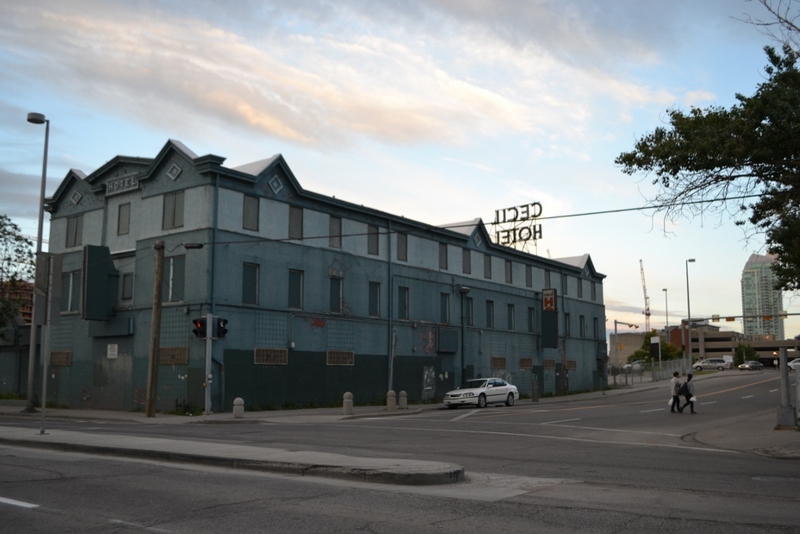 In August 2004, the King Eddy (or more formally the King Edward) was condemned with the Calgary Health Region citing, “dangerous level(s) of mould, not enough toilets and unsanitary conditions.” Like the Cecil it sat vacant and unused for four years before a proposal by Cantos Music Foundation (now the National Music Centre) was accepted in May 2008 to allow for redevelopment as a museum/music centre. This project is well underway as seen by the photo below that I took in early July of this year. 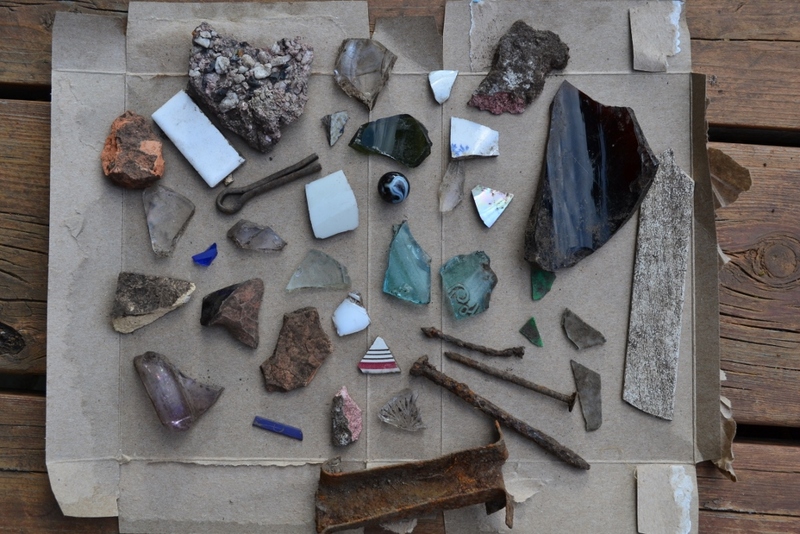 I am sure I will write more about this project as time progresses. 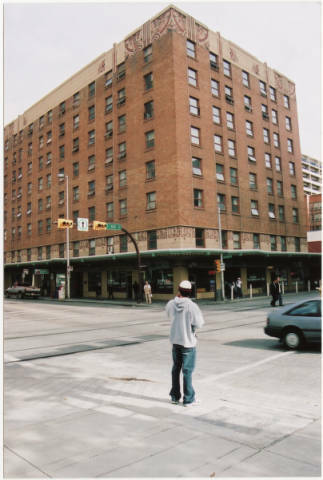 Sometime between October 2005 when City Council approved the sale of the York Hotel and June 2007 when demolition began on the hotel – the low-income residents who occupied this previously seedy hotel had to move out. This hotel however probably was a step up from the other two mentioned above. This is probably due to the fact that when the city purchased it in 1990 they converted it from a hotel to an assisted living facility. On a side note, only because it relates to the seediness of the York Hotel, a long time ago I had a job in the former Petro-Canada Tower. One hot summer day I looked out my office window and saw a stripper sunning herself with the tiger she used in her routine on the second floor balcony above the retail frontage on 7th Avenue. As I recall, this prompted an impromptu 5-minute meeting to be called amongst the guys on my floor to discuss this unusual event. But I digress. This property was linked to construction of The Bow and as the picture above shows, this new development contained a smaller tower that incorporated the concrete Art Deco friezes which were custom-built on location circa 1930 at the York Hotel and were unique in North America. There were two locations that this was done – Calgary and Hollywood. As seen in the original building above and the architectural rendering below, these friezes were to be incorporated into the new building. I would have to do some research and I don’t feel like doing it today, as it is an obscure fact, but I believe the Hollywood and Calgary friezes were both done by the same person whom I believe was somehow a relative to the original owner of the York. This of course is from memory, so I could be corrected on this. 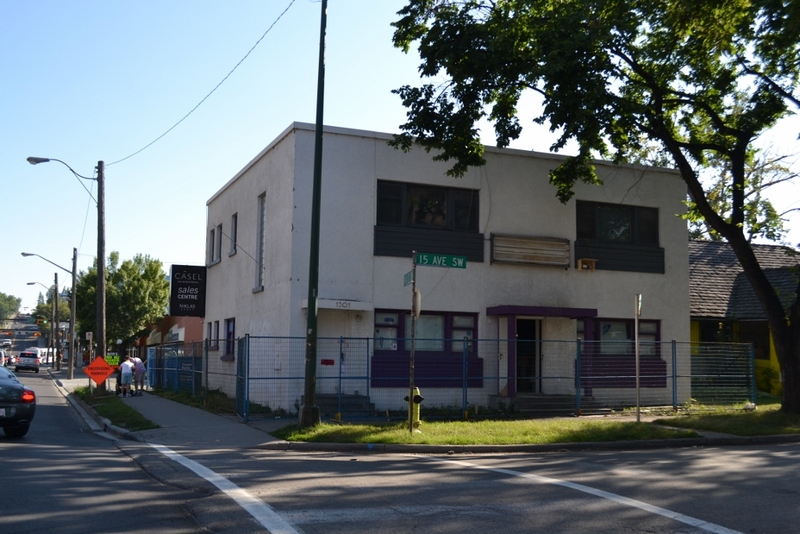 The building was carefully demolished and the bricks and friezes were put into storage as the intent was to reconstruct the building, retaining the two sides which faced Centre Street and 7th Avenue SE. The new building as illustrated in the rendering above was to be used as a cultural facility. In fact as I recall, this was a condition that allowed for the increased density and height of The Bow. As you can also see in this photo it was directly across the street from Art Central (the building on the left with the red vertical sign). This was intended to help solidify what was hoped to be a cultural zone, which was at that time called the Olympic Plaza Cultural District, and now is nothing more than an historical footnote. The south block of The Bow skyscraper project, which was to house office, retail and cultural space, has been “deferred” due to the challenging economic times and construction for the time being will be stopped at grade level. 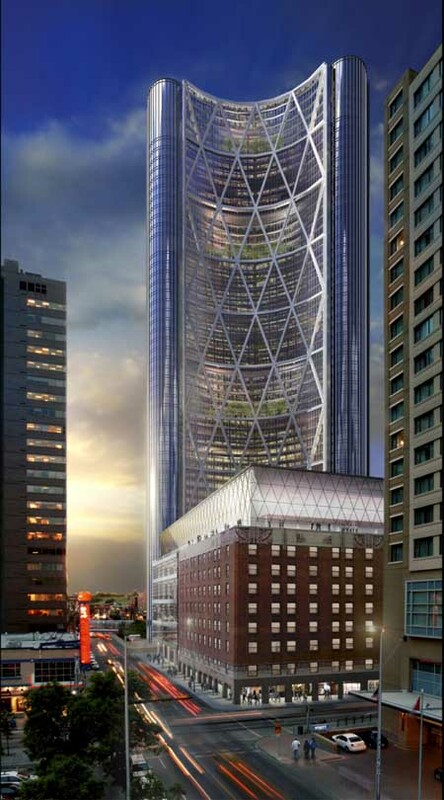 A second, smaller tower proposed as part of The Bow office development downtown will not go ahead. Instead, the property’s owners . . . will build a public plaza at the site of the old York Hotel. As seen in the photo above that I took the week before Stampede workers are progressing on this new development as announced. The site where these workers are working, is indeed the site where the York Hotel once stood. It is still in progress and I am surprised that it has not been completed considering how fast they were putting that part down in late June. But, like all construction projects in this city, it seems that everything takes longer than one would originally expect. This York Hotel project was immensely interesting. I plan to write about this, but probably not in this format. I am sure it will be heavily documented. If you have more info that might be of interest before it is tossed, please contact me. The use of one of the three hotels as a cultural space is well on its way. The outcomes for the other two are still very much up in the air. Only time will tell if something ever comes from either one of them in this regard.